We provide coordinated care for young adults ages 15-39, who often confront different medical and psychosocial challenges than younger children and older adults with the same diagnosis. 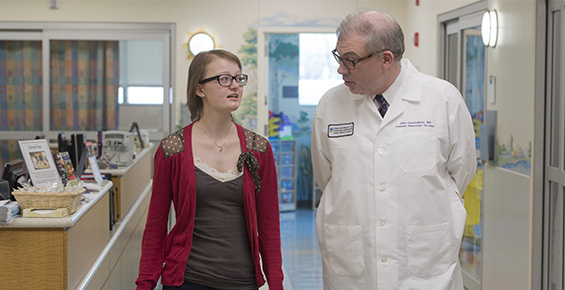 A team of pediatric specialists at the University of Chicago Medicine Comer Children's Hospital is dedicated to addressing the full span of each child's needs, before, during and after treatment. 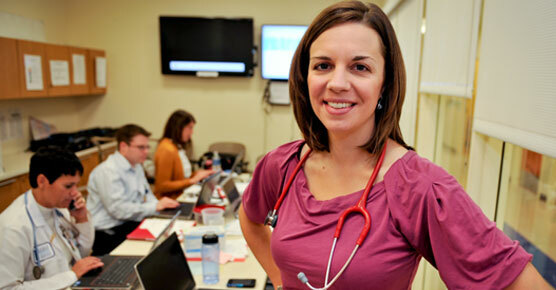 The team meets formally each week to discuss each patient's diagnosis and treatment. They meet informally on a daily basis to address the patient’s progress. Our physician team includes pediatric oncologists, radiation oncologists and surgical oncologists (including orthopaedic surgeons) — each with extensive experience in pediatric sarcomas. Pediatric cancer nurses and nurse practitioners work closely with physicians, patients and their families. Pathologists are instrumental in the diagnostic process, while physical and occupational therapists play a critical role during recovery and rehabilitation. Psychologists, social workers, child life specialists and others help children address the emotional and social implications of illness and treatment.